CBG, or cannabigerol, is usually found in low concentrations in hemp (often less than 1%), which is why it is commonly referred to as a “minor cannabinoid”. It is therefore not surprising that cannabigerol (CBG) is not highlighted, unlike its well-known counterparts THC and CBD. Nevertheless, the more research advances the more we realize that it plays a major role, especially in the production of other cannabinoids. Indeed, CBG is the first cannabinoid to be formed in the plant during the growth. It is then found at much higher concentrations in an acidic form called CBGA. All the other cannabinoids (more than 144) are created after. 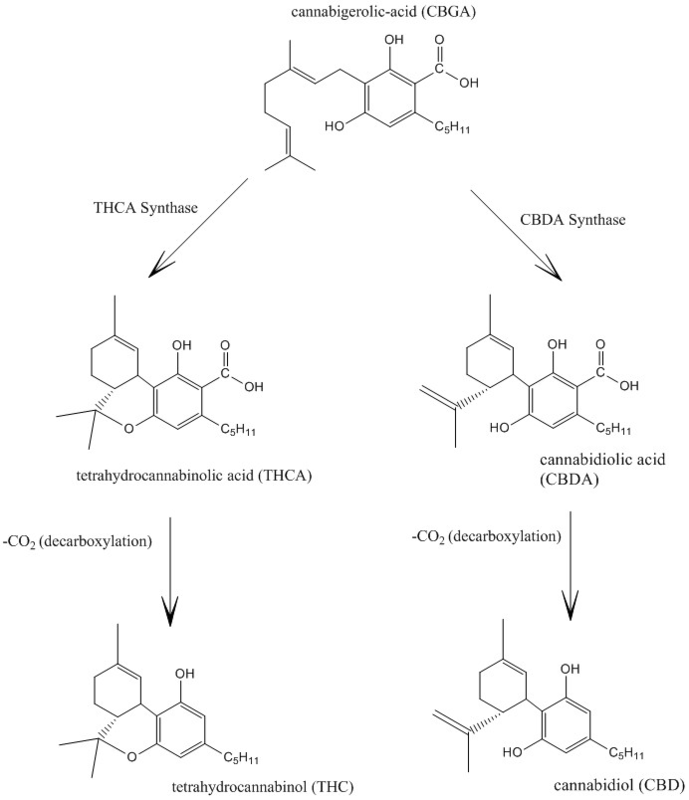 As the growth progresses, the enzymes present in the plant gradually break down the molecule to create new ones such as THCA (tetrahydrocannabinolic acid) and CBDA (cannabinolic acid). Then the maturation process produces the other cannabinoids. 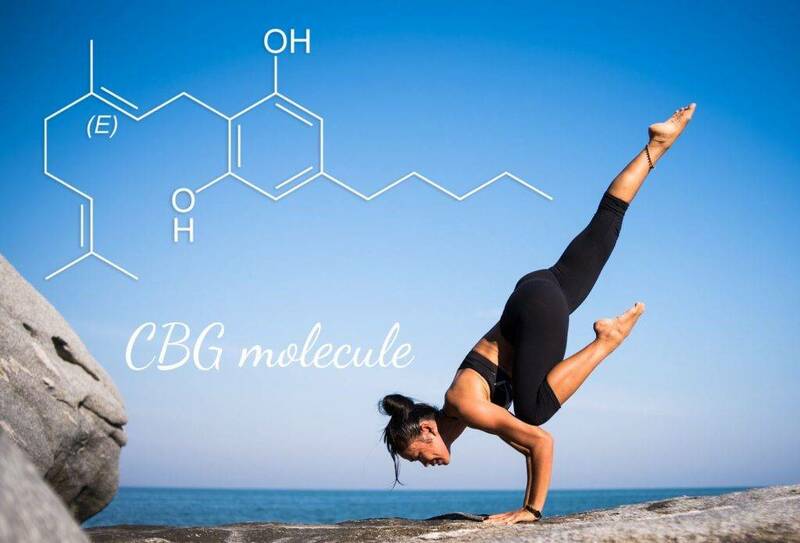 WHAT ARE THE EFFECTS OF CBG ? CBG (cannabigerol) is a non-psychoactive phytocannabinoid found in hemp. It interacts with our endocannabinoid system without altering our mental functions. We still know little about this molecule due to the recent interest in it and its low concentration in harvested plants. Nevertheless, it is possible that its action, combined with other cannabinoids including CBD, can explain the power of the synergy of the molecules of the plant. That’s what Dr. Bonni Goldstein, a specialist in cannabis for medical use, affirms. She recognizes various properties, such as inhibiting the absorption of the neurotransmitter GABA present in the brain which would cause relaxation of muscles and provide an anxiolytic effect. Two studies, the first one conducted in 2016  and the other in 2017 , seem to showcase CBG as a “new stimulant of appetite”. The first study reports the potential of the molecule in cases of cachexia (a state of deep decline related to severe malnutrition of the body), and other eating disorders..
Other studies, either on the animal model or in vitro, showcase the potential of CBG to be antioxidant . The molecule also seems very promising in the case of bowel diseases  and for wound healing thanks to its regenerative action and its control over the proliferation and differentiation of cells . The excellent results of pre-clinical studies on CBG deserve that we push the research with the implementation of large clinical trials.